Okay Folks. No lies: I just made some not-so-delicious Red Velvet cupcakes. 2. The GF flour mix I used just wasn’t up to par. 3. I under or over baked them. However, I am not quitter! These will be tried again (and again and again) until they are perfected. Cream the butter and cream cheese together in a stand mixer. Add the vanilla and mix until combined. Add the powdered sugar. I didn’t measure how much powdered sugar I used…. It was about half a bag or a little more. Basically: Add as much as you want until you get the desired consistency. I wanted a stiffer frosting, so I used more! This frosting would be delicious on top of pumpkin or carrot cake…. 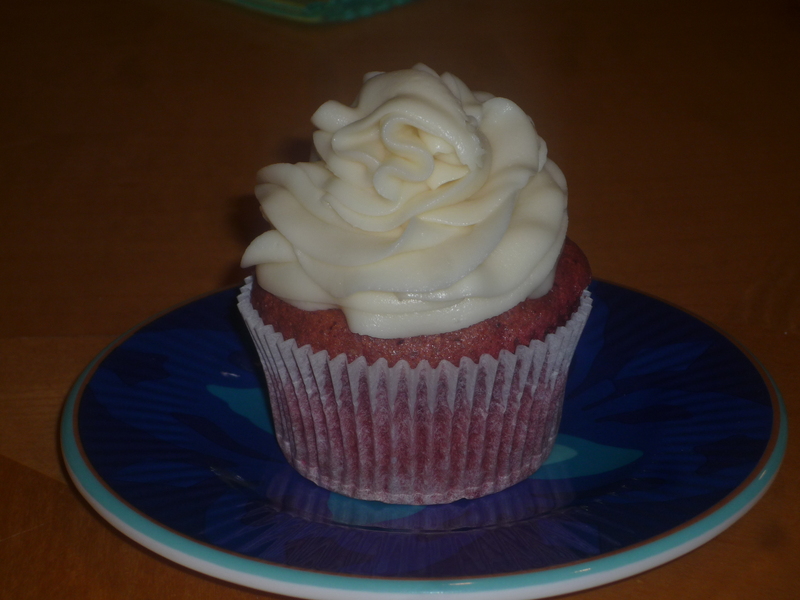 OR red velvet- which I will be trying again soon. I will post a successful recipe when that happens.